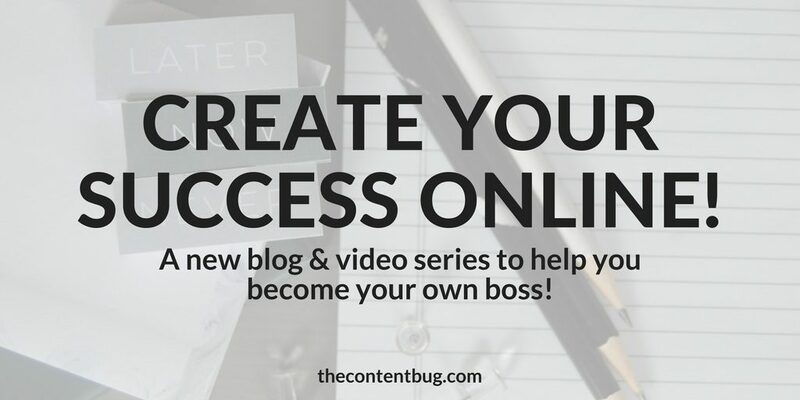 Create Your Success Online: New blog & video series! When I started this website, I knew I wanted to help people understand the online world. But that was about it. I had no idea that I would write posts that would take people from 3k to well over 200k monthly views on Pinterest. I had no idea that I would create an online course to help people understand online content and create amazing content of their own. And I certainly had no idea that I would inspire people to follow their passions. One of them even being my previous boss! No. Crazy’s not even the word for it. Surreal. Unbelievable. Insane. Unimaginable. And clearly not real life. When I first found out that I would actually be my own boss, I didn’t believe it. Really. I talked myself in circles making myself believe that I was still settling. That I wasn’t really working for myself. That I was still reliant on a paycheck. But then I had a serious talk with myself. Because the fact of the matter is that I am my own damn boss. And I’m freaking proud of that. So today, I want to welcome you to a new series on TheContentBug. It’s called: Create Your Success Online. The funny thing is, I have had those 4 words on the home page of my website for a long time now. And I really didn’t think too much about it. But then my life came full circle when I actually created my success online. And I got to a point where I didn’t know what content to provide to you guys anymore. I love writing about the digital world. And I’ll probably always love the changes and challenges of the digital marketing industry. But I wanted to write about more than that. I really wanted to help people. And the more I questioned myself, my passion, and my purpose, I realized something that I’ve actually known for a long time now. Keep reading if you want to learn more about my crazy journey, mind, struggles, and successes. 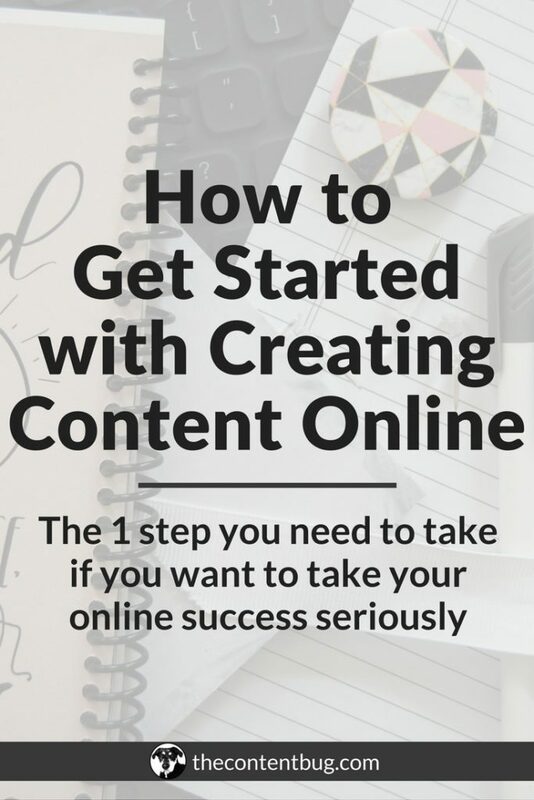 And most importantly, how you can create your success online. I was completely taken off guard. I didn’t understand what he was talking about. I mean… weren’t we just cooking dinner! Did the pepper upset your or something?! And the way he said it was so matter-of-fact too. It was without a doubt in his mind that it was a load of BS. But in the podcast, they were talking about finding your purpose and being who you truly are. And somewhere in there, they mentioned how your purpose is probably right in front of you. It’s always been there. You just have to open your mind, body, and soul up to accepting what your purpose is. They also went on to talk about how your purpose changes in time and you might not have one set purpose. But that’s a talk for another day. But, clearly, Alex thought that was BS. And the first that came out of my mouth was: I don’t know. That was a pathetic answer. And of course, he called me out on it. So I started to get tears in my eyes and I told him that my purpose was to help people to be unapologetically themselves and chase their passions no matter what anyone else thinks. It just blurted out of me. Without even thinking about it, it was there. And just like that, it was out into the world. And our conversation continued just the same. Now, I’m telling you this story not to think that Alex is crazy for getting heated over a pepper (that didn’t actually happen). But to tell you that my purpose was there all along. And it took me until months after this conversation to realize that I need to start really acting on that purpose. For so long, I had no idea who I was. And I was extremely uncomfortable in my own skin. To the point where I would copy everyone else around me to try and belong. I hated being around people I didn’t know because what was I going to say?! That I liked dogs more than I liked them! Because that’s true. But obviously not polite. And I went on like this for 22 years. But I hit a breaking point. I hit a point where I didn’t want to fake it anymore. I didn’t want to fake my smile, I wanted to actually smile. To actually laugh. To actually LIVE! I wanted to stop hating the girl I saw in the mirror. And I wanted to be able to conquer my mind in a way that allows me to be… me. So I decided to change my life one website at a time, one book at a time, one yoga practice at a time, one podcast at a time, and one affirmation at a time. It took a lot for me to finally become comfortable in my skin and with my mind. And it’s not an easy task if you are in the same boat! Trust me. It’s really not. And it’s a different experience for everyone that goes through it. 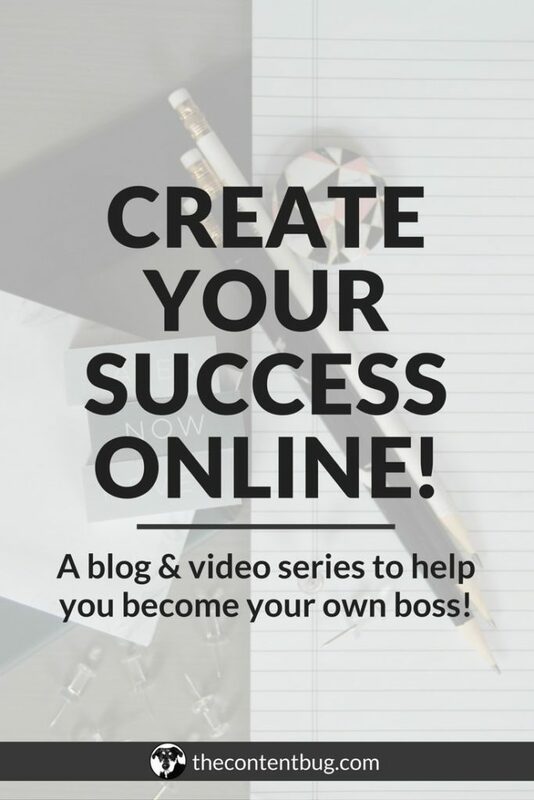 Welcome to the Create Your Success Online series! So here I am. Coming full circle to create this series of blog posts and videos to help you guys discover who you are, follow your passion, live your life on purpose, and ultimately, create your success online. I have no idea how long this series is going to be. I don’t fully know all the blog posts that are going to be included. But I have an idea for 15 solid blog posts right now. So if that’s all I come up with, then you can expect this series to be 15 blog posts long. But I have a feeling that it’s going to be much longer than that. This is all information that I wish I had. And this isn’t just about digital marketing anymore. This is now about you and your success. We’ll talk about how to discover who you are and chip away at the walls you’ve built up over the years. We’ll talk about if you are really ready to start a business or blog of your own. And the questions to ask yourself before you get started. We’ll talk about branding, a blog vs. a business, how to make money, affiliate marketing, how to legally protect your website, how to break away from limiting beliefs, and how to really go after your dreams. I’m telling you, I have so much that I want to cover. And I can’t wait to get started with this series. This is probably going to get personal. And I’m definitely going to share stories that I haven’t told you guys before. But I’m so excited to get to know each other on a personal level. And I’m even more excited to see you create your success online. So are you with me? Ps. If you didn’t already know, my given name is Cathrin. And I love that name. It’s beautiful, especially with the unique spelling. But it often gets misspelled. So to make it easier on you guys, you can call me Cath! 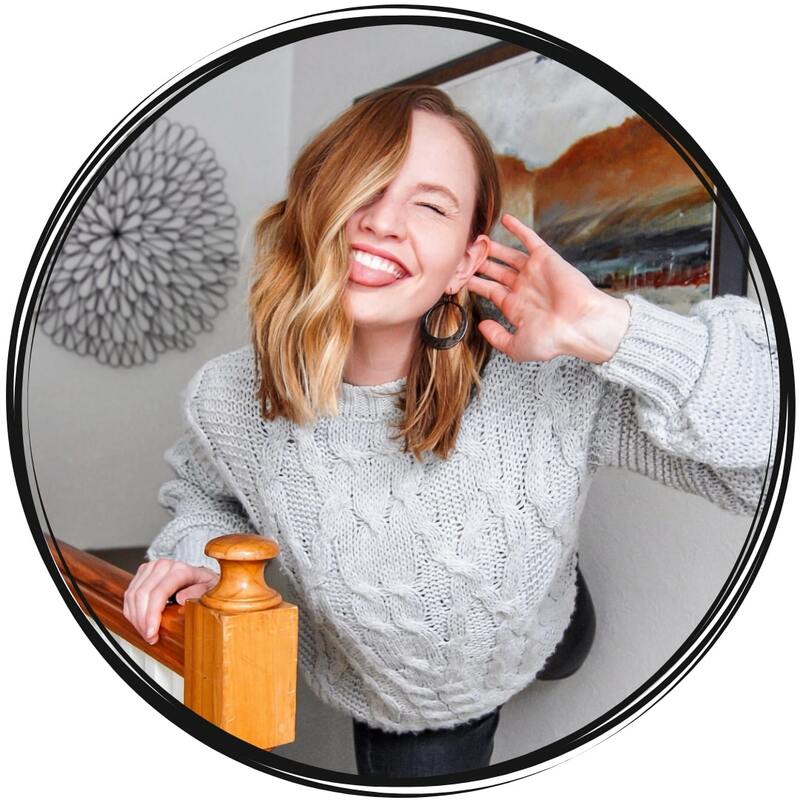 Cathrin (Cath) creates content that encourages bloggers & online entrepreneurs to be themselves, chase their passion, and create their success online. 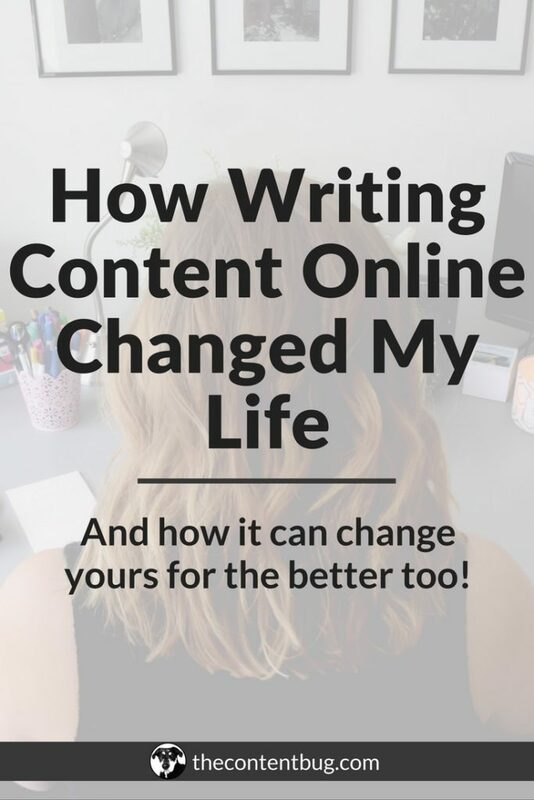 1 year after started her blog (TheContentBug.com), Cath left her full-time position working in the digital marketing industry to pursue her dreams of being her own boss. 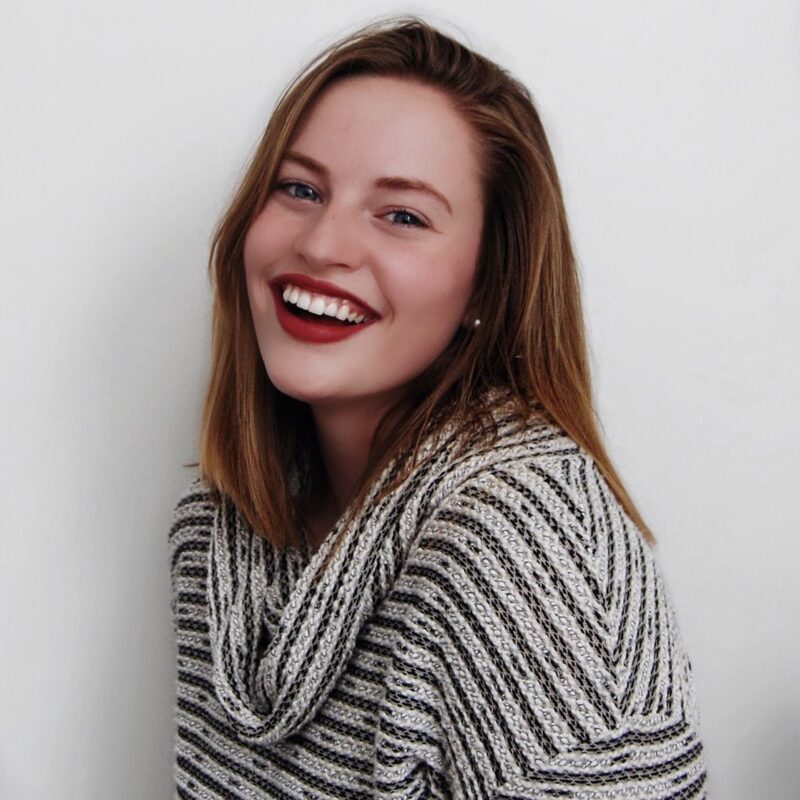 In weekly blog posts, sporadic YouTube videos, and constant talking on Instagram stories, Cath hopes to spread her story and be an inspiration to others who desperately want to change their lives. Very inspiring video you made there. But let me introduce myself. I am Lamine, 45 and I live in Dakar, Senegal, West Africa. A couple of months ago I was Managing Director for Forever Living Products West Africa, an us company with footprints all over the world. It was a great job, very well paid and evolving in network marketing. Over night, everything went south. I crashed with my new boss and after 5 years of success, I slammed the door last february. After that I was so angry. I, then, realised that it was the best thing it could happen to me because, like you, I hated it. I didn’t know it, but afterwords, I was so cool, no more stress, no more objective to run after, no more boss who hides from his responsibilities. I started to re-think my life. I’ve got expertise in Management especially in Marketing ans sales. I just had to figure out what to do with it. Now, I’m running my own business of consultant. I train marketing staffs, I also run organizational audits for companies and give them recommandations in Strategy, Marketing, operational optimization. I also realised that I needed to update myself on new ways of working. I’ doing a lot of research from my couch. That’s how I found your website ans now, I’m following it like crazy. It is refreshing to see how accurate are your posts and I go everyday to see and read what’s new. I would like to thank you for giving me inspiration and help our community to learn so many things. Keep well and stay just the way you are. Your story brought me to tears. And is an absolute inspiration for everyone that comes to this website! I can’t imagine going through what you went through but I’m so thankful that you shared this story. It was my intent with this series to have this community to be able to share their stories and connect on a level that typically isn’t shared. So thank you for being the first! And thank you so much for being here. You are truly amazing and a true warrior! Don’t ever stop doing what makes you happy! ∘ Do you want to pursue your passion by creating a success online? ∘ Are you driven, brave, and maybe a little bit crazy? ∘ Are you ready to start living your happiest life?! YOU'VE COME TO THE RIGHT PLACE. First time visiting TCB? START HERE! The starter-kit to help you find clarity & ease in growing your blog into a real business. Your step-by-step guide to create a plan that will grow & monetize your blog in 90 days or less! 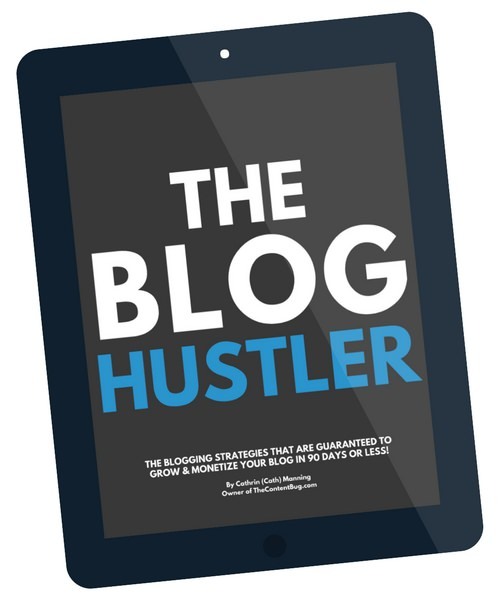 WANT TO MONETIZE YOUR BLOG IN 90 DAYS OR LESS?! Join my VIP team & I'll send you a 10 Day Money Making Guide to help kickstart your success. Plus you'll get instant access to my FREE resource library!